Summer is only 10 days away. 10 days!!! Are you ready for it? I know I am. My legs have been long time ready to be unleashed. 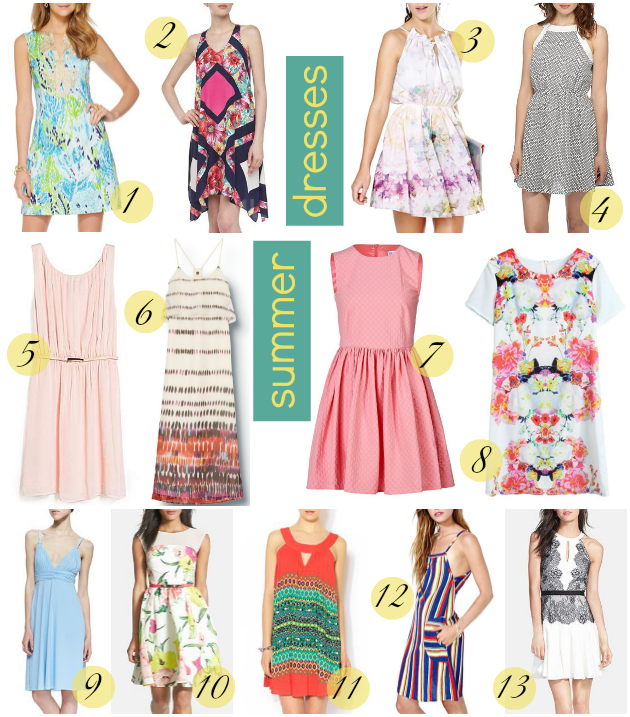 What better time to revamp the closet with dresses. As you can see I am still petting my pastel obsession but with a dash of prints! This, however is my favorite from the list. The back detailing is so subtle and feminine. This would be the second on the list. I think I want them both! What about you? What styles/patterns are you adding to your closet? Are dresses on your list too?! ?